Simplify Yearbook Signing with Our Best Yearbook Rubber Stamps! Signing yearbooks is a fun and special tradition in elementary, middle and high schools across the nation. Many college students and professors even exchange yearbook messages! This activity allows students to reflect on their friendships and remember their classmates far down the line. Furthermore, it gives teachers the opportunity to write heartfelt notes to their students and wish them success in the future. A message & logo stamp – If you’re after a yearbook rubber stamp that isn’t too personal and can be used for both friends and acquaintances, we recommend making one with a message such as “Have a great summer!” followed by your name. If desired, you can also include a logo of your choice to spice up the stamp. This can be anything from a palm tree to a logo depicting your favorite sport. Or, if you’re a teacher, you might choose to add an apple logo – there are tons of options to choose from in our logo library! A photo stamp – When it comes to making a lasting impression on your classmates, nothing will do the trick quite as well as stamping a photo of yourself in their yearbooks! It’s easier than you might think to do so – simply click “Upload Logo” in the “Create your design” step when customizing your yearbook rubber stamp and select the photo you would like to use from your files. You might also consider choosing a photo of the school or something else that represents your academic experience – it’s all up to you! A signature stamp – Want to keep things super simple? The best yearbook rubber stamp for you is a signature stamp! Making one will save you from having to sign your name over and over again. Plus, this stamp will be especially useful if your handwriting isn’t the most legible. To learn how to make your own custom signature stamp, check out our tutorial! These are just a few of the best yearbook rubber stamps you can create on our website. To discover the full range of possibilities, head over to our stamp design portal and start experimenting! Yearbook Signing Season Is Almost Here – Order Today! In the market for a high-quality, personalized yearbook rubber stamp for yourself or your child? Don’t delay – visit RubberStampStation.com now and get to work on your stamp design to ensure that it arrives in time for yearbook signing day! If you need any assistance with designing or ordering your stamp, we’ll be happy to help – just call 1 (850) 7STAMPS. We can’t wait to show you why we’re known for providing the best yearbook rubber stamps on the market! Jot your comments on colored sticky notes – When you write your feedback directly on your students’ papers, they may not notice that it’s there. To avoid this issue, we recommend putting your comments on a colored sticky note and attaching it to the paper. The color will catch your students’ attention and ensure that they don’t miss your valuable feedback. Have another adult give feedback on occasion – If your students don’t seem to be responding to your advice, it may be beneficial to have another teacher or even the principal of the school provide feedback on an assignment. 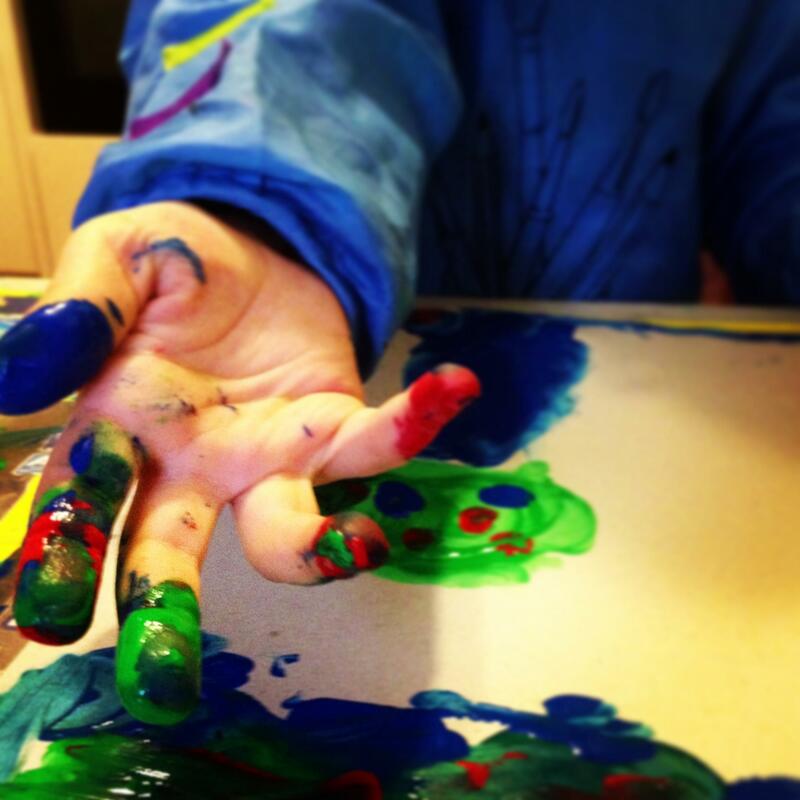 Doing so will give kids a fresh perspective on their work. Let students provide feedback to each other – Another ingenious method for making sure students get feedback they will use is to have them swap papers and give each other constructive criticism. Most kids value what their peers have to say about them and their work, so this technique will most likely be successful in encouraging students to take feedback from classmates into consideration. 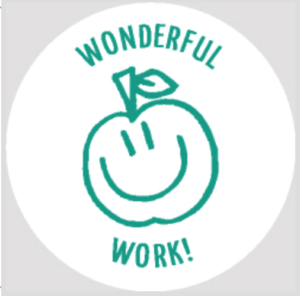 Use rubber stamps for the classroom – Rubber stamps for the classroom allow you to add some pizzazz to your feedback and increase the chances that students will pay attention to your thoughts. After all, it’s much more exciting to get back an assignment with a colorful image and/or an encouraging message stamped on the top rather than generic pen scribblings. If you’re interested in learning more about how rubber stamps can assist teachers in the classroom, be sure to check out our past blog post on this topic! Design Your Rubber Stamps for the Classroom Today! Are you ready to revitalize the way you give your students feedback on their papers, quizzes and tests? It’s time to head over to our online Stamp Design Wizard portal to start creating your own custom rubber stamps for the classroom. We give you tons of options when it comes to ink color, font and product type. Plus, we allow you to include personalized text, an image or both on your rubber stamps for the classroom. Have a question about the stamp design process? Don’t hesitate to give us a call at 1 (850) 7STAMPS or send an email to info@RubberStampStation.com. We look forward to showing you why we’ve been the trusted source for rubber stamps for the classroom since 1955! Preserve Your Child’s Possessions with Custom School Rubber Stamps! Lunch Stamp – Whether your child takes lunch to school in a brown bag or a lunch box, make sure it doesn’t get misplaced throughout the day by stamping your child’s name and phone number on it. On our site, you can personalize your own lunch stamp with whatever text and image you’d like. Backpack Stamp – If you’re an avid reader of the Rubber Stamp Station blog, then you’re probably already familiar with our permanent school clothing stamp. But did you know that this stamp can be used on any fabric surface? That means you can stamp your student’s name and contact information on the inside of his/her backpack to ensure that it is returned if misplaced. “This Book Belongs To:” Stamp – When everyone in your child’s class is reading the same book, his/her copy may get mixed up with someone else’s. This is an issue if your child likes to highlight important passages or make notes while reading. To prevent unintentional book swaps, simply make a “This Book Belongs To:” stamp that includes your child’s name and use it on all of his/her reading materials. Gym Uniform Stamp – Has your kid ever come home with a gym uniform that was way too small or large for him/her, resulting in you having to buy a new one? Using a permanent clothing stamp on your child’s gym clothes will make accidental gym uniform switcheroos a thing of the past, thereby saving you time, money and stress. Apart from these, there are many other highly useful ways to use custom school rubber stamps. To explore even more options and start creating your personalized stamps, head over to our online stamp design wizard! At Rubber Stamp Station, we strive to provide the most competitive prices around on custom school rubber stamps, ink and other products. In fact, we offer discounts of up to 50% off list prices! So instead of making the trek to the office supply store, simply order your stamps online from us – it’s both cheaper and more convenient. Want to place an order? Call 1 (850) 7STAMPS or visit our website today. We look forward to providing you with superior products and unbeatable prices! School is back in session, which means your child will probably be getting a new uniform for school, gym class, sports or choir. These articles of clothing can be hard to keep track of, especially if your child’s school is in charge of washing the garments. Save yourself the frustration that comes with misplaced or mixed up uniforms by purchasing a school clothing stamp from Rubber Stamp Station. It’s easy to use – Just like every other Trodat stamp on the market, the school clothing stamp is extremely simple to operate. All you have to do is hold the stamp firmly and press it down on the surface where you want it, and you’ll get a clean, smear-free impression. And when it comes time to change the ink, that’s easy, too! Just pop the ink cartridge out and slide a new one in, and you’ll be ready to continue stamping. The stamp impressions will hold up in the wash – It’s no secret that children’s clothing is subjected to a lot of wear and tear. That’s why the Trodat school clothing stamp is designed to create durable, long-lasting impressions that are permanent and won’t come out when a garment goes through the laundry. The ink is totally safe for children – Another great thing about the school clothing stamp from Trodat is that it takes a special type of textile ink that is 100% non-toxic, making it safe to use on garments for children of all ages. Clearly, the Trodat school clothing stamp is an amazing item to have around the house. It’s Time to Buy Your School Clothing Stamp! Want to start this school year off right by purchasing a school clothing stamp that will allow you to mark your child’s name, address and phone number on his/her uniforms and other belongings? Head over to the Rubber Stamp Station online store now! We offer school clothing stamps in a variety of sizes, including 9/16” x 1-1/2”, 1” x 2-1/2” and 1-1/2” x 3”. So whether you’d like the imprint on your school clothing stamp to be small, medium or large, we can provide exactly what you’re looking for. To place your order, call 1 (850) 7STAMPS or visit us on the web now. And if you’re a teacher, don’t miss our post on how rubber stamps can assist you in the classroom. We look forward to helping you safeguard your children’s garments with our handy-dandy school clothing stamp! If you’re a teacher, chances are you’re always looking to get a great deal on school supplies. At Rubber Stamp Station, we believe that you deserve one! That’s why we offer tons of rubber stamps for the classroom at unbeatable prices. To save you money, we sell our stamps for between 15% and 50% off the list prices. Still, we never skimp on quality! We carry a wide variety of stamps from the trusted brands Trodat and Ultimark. Therefore, we guarantee that your classroom rubber stamps will serve their purpose for years to come. Printy 4926: With a plate size of 1-1/2” x 3”, this stamp is perfect for stamping up to 10 lines of text. Use it in your classroom for stamping “This Book Belongs To” in classroom books. Printy 4922: This small square stamp measures 13/16” x 13/16”. It’s great for stamping the school subject or subjects that you teach on documents. You can also use it to write messages such as “Great job!” on your students’ papers or tests. Printy 4913: The Printy 4913 is ideal for putting your signature and job title on documents. Save yourself the time and effort that it takes to sign papers by using this stamp in the classroom. Printy 4916: This portable stamp is 3/8” x 2-3/4”, making it great for stamping professional looking signature lines on papers. Use it on all of the important school documents that need to be signed by your students’ parents. To browse our full catalog of rubber stamps and stamp accessories, simply visit our easy-to-use website. In addition, be sure to check out our blog post on teacher rubber stamps! If you’d like to make your job as a teacher a little bit simpler, then it’s time to get in touch with Rubber Stamp Station. To do so, you can visit our website directly or send an e-mail to info@RubberStampStation.com. If you have questions or would prefer to order over the phone, feel free to give us a call at 1 (850) 7STAMPS. We look forward to providing you with high-quality rubber stamps for the classroom! Mobile Printy 9412: This teacher rubber stamp is great for on-the-go. Need to stamp a message on papers while on a field trip with your class? Be sure to bring the Mobile Printy 9412. Printy 4913: The Printy 4913 is a major time saver! You can use it to stamp your signature and job title on papers, meaning you won’t have to take the time to do it by hand. Printy 4915: The Printy 4915 can be used by teachers or school office employees to quickly stamp the name and address of the school on letters and packages. Printy 4916: Need a signature from your students’ parents on an important document? Use this stamp to make the signature line look professional. Printy 4926: This handy teacher stamp can be used for putting the name, address, and phone number of you or your students in classroom books. That way, there will never be a question about who a book belongs to! Printy 4922: The Printy 4922 is ideal for stamping short messages such as “PASSED” or “ENGLISH DEPT.” It definitely comes in handy when grading papers and tests! All of the teacher rubber stamps that Rubber Stamp Station sells are made by the trusted brand Trodat. Therefore, you can rest assured that you’re getting superior quality when you purchase your products from us. Looking for even more information about our selection of teacher stamps? Check out our past blog post on the subject. In addition to selling the best teacher stamps around, we also provide exceptional customer service. With almost 60 years of experience in the industry, we’re experts regarding every type of stamp and ink that we sell. Best of all, we offer our stamps for between 15% and 50% off the list prices! Don’t Wait – Order Your Teacher Rubber Stamps Now! Are you ready to place your order with Rubber Stamp Station? Simply visit our website to view our huge catalog of products, or call our customer service hotline at 1 (850) 7STAMPS. If you have questions about a product or need assistance with ordering, we’ll be more than happy to help. We look forward to hearing from you soon! Purchase Your Rubber Stamps for Teachers from RubberStampStation.com! As the new school year begins, it’s important for teachers to get organized and gather their supplies for class. Here at Rubber Stamp Station, we can help. As the best online stamp distributor, we carry a variety of high-quality rubber stamps for teachers. Printy 4912: With a plate size of 3/4” x 1-7/8”, this rubber stamp is perfect for writing approximately one sentence of text. Use it to tell students when something is due or to convey other messages. Printy 4913: This stamp is great for putting your signature and job title on documents. Its huge plate size of 7/8” x 2-3/8” guarantees that you’ll have enough room for your text. Printy 4915: Looking for the perfect address stamp? This is the one! The Trodat Printy 4915 is made to stamp the address of your school on papers. Printy 4916: This rubber stamp is great for putting signature lines on documents. At 3/8” x 2-3/4”, it’s just the right size for this purpose. Printy 4926: With a plate size of 1-1/2” x 3”, the Printy 4926 has space for up to 10 lines of text. This makes it great for stamping “This Book Belongs To” forms in books! Printy 4922: Use this miniature rubber stamp to write “passed” or “failed” on your students’ papers. You can also stamp the name of your department. In addition to being well-made and functional, most of the Trodat Printy self inking rubber stamps are also great for the environment! They’re made with as few materials as possible to save energy and resources, and they’re climate-neutral. Best of all, they feature precise imprint alignment as well as clean and easy pad replacement. When it’s time for new ink, simply reference our guide for replacing your stamp’s ink. Don’t Wait – Order from Rubber Stamp Station Today! 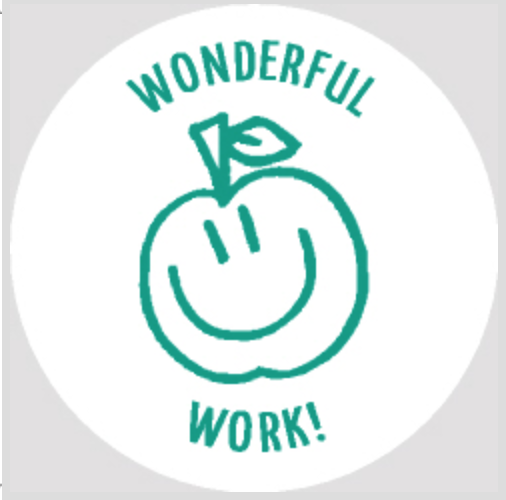 With our amazing rubber stamps for teachers, you’ll save time and effort in the classroom. Interested in ordering? Call the Rubber Stamp Station hotline today at 1 (850) 7STAMPS or visit our website. We look forward to providing you with superior products and customer service!